Breakouts can be a bummer, usually turning up at the most inopportune times like a first date or photo-friendly day. But, when you think about it, is there ever really a good time for a blemish? Though breakouts differ in type (whiteheads, cystic acne, blackheads), I have a few tips relieve the burden and promote healthier, clearer, and more even-toned skin. 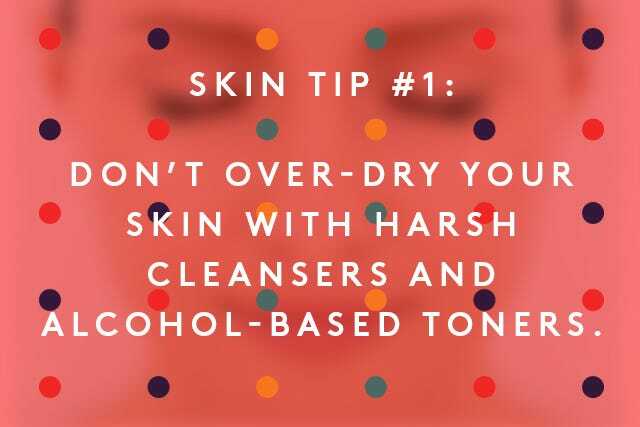 Don’t over-dry your skin with harsh cleansers and alcohol-based toners. Most cleansers and toners that are formulated for problem skin are designed to dry out breakouts, so they contain strong detergents and alcohols. Unfortunately, this creates a problem for those who only breakout occasionally: While it's important to dehydrate infected breakouts, the harsh ingredients will also dehydrate clear areas, resulting in skin cell buildup. This layer of dry skin cells then trap oil and acne-causing bacteria underneath the skin, ultimately causing an increase in new breakouts — the last thing your skin needs! If you're someone who experiences occasional blemishes (and, have far more areas of the face that are clear and blemish-free), be sure to search out sulfate-free cleansers sans ingredients like sodium laureth (or lauryl) sulfate, ammonium laureth sulfate, SD alcohol 40, and denatured alcohol. Instead, look out for products with active ingredients like salicylic acid that help prevent breakouts without those drying agents. 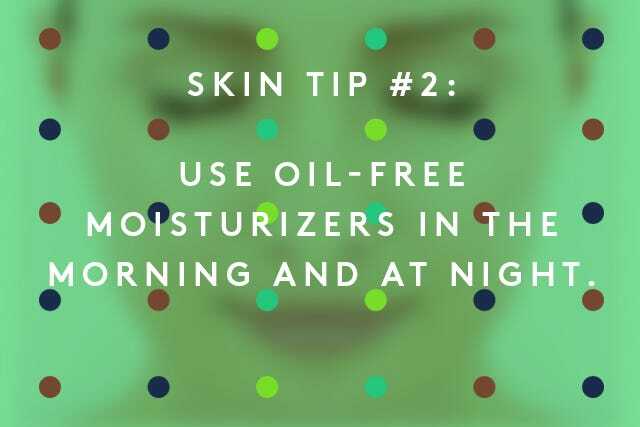 Use oil-free moisturizers in the morning and at night. When breakouts occur, we tend to avoid any and all moisturizing products, as have a reputation of clogging pores and are often associated with an oily residue. But, did you know that not using a moisturizer can cause even more break outs? Bacteria breeds in oil, so when you avoid moisturizer entirely, the skin dehydrates and sets off a response to overcompensate, producing more oil. This newly produced oil accumulates on the skin and in the pores, resulting in a breeding ground for bacteria, This not only makes existing breakouts last longer, but it also leaves a hospitable environment for potential breakouts to form. The skin needs water, not oil, so use an oil-free, water-soluble lotion to help keep your skin hydrated and balanced — with fewer blemishes. 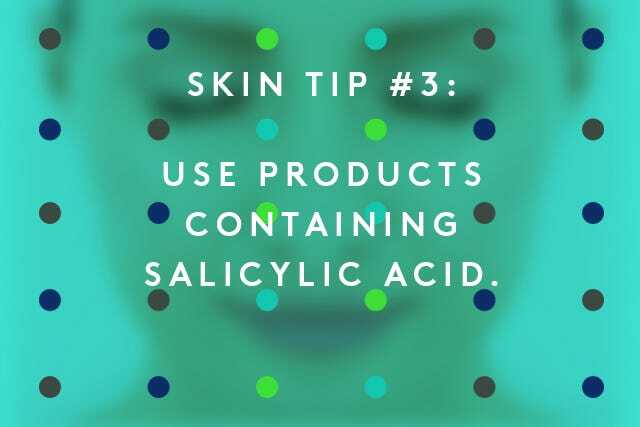 Use products containing salicylic acid. This ingredient is a keratolytic beta hydroxy acid (BHA). It's commonly known for its ability to smooth the skin while reducing acne-causing bacteria and oil. Salicylic acid helps to prevent blemishes and penetrates the pores to clear out impurities. It's also an excellent ingredient to prevent blackheads after a deep, pore-cleansing facial. Because of its skin regulating properties, you will usually find salicylic acid in cleansers and moisturizers formulated for breakout-prone skin as well as in acne spot treatments. It’s a fabulous ingredient with proven results. And, using a cleanser with salicylic acid makes it easy to work into your regimen (BHA Clarifying Serum). 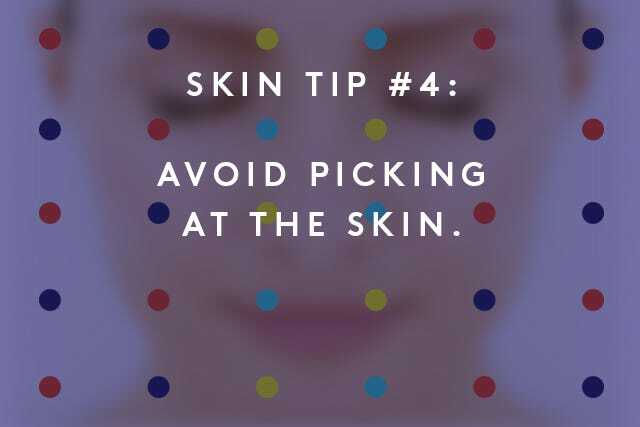 Avoid picking at the skin. While this tip may seem obvious, it is imperative that you understand that although breakouts cannot always be avoided, you can control what happens once you get the breakout. A blemish usually lasts 5-7 days, but the red or dark scar from picking at the blemish, can linger for weeks — or even months. A closed bump from a blemish is a lot easier to conceal with makeup (and less noticeable) than trying to cover a red, oozy, scabbing wound. The choice is yours. The best way to keep from picking? Get away from the mirror. Identify your blemishes and treat them accordingly. Not all blemishes are equal so before you apply a spot treatment, you need to identify what kind of blemish it is. Acne cysts are those hard, sore bumps under the skin (most often occurring in the chin and jaw area) that linger for weeks. Your best bet is to leave these alone. Since the infection is not on the surface, traditional spot treatment drying lotions will only dry out your skin, which will cause peeling while still leaving the sore bump underneath. Instead of making matters worse, apply ice, get a cortisone shot from a trusted dermatologist, or use an anti-cyst treatment. Whiteheads, or closed comedones are little clogged bumps under the skin that aren’t red or sore, but rather, little white-ish bumps under the skin. Since these clogged pores have no infection, using harsh acne products will only make whiteheads worse by causing dry skin cell build up, traping the congestion in the skin longer. Exfoliate! Steer clear of the dead skin cell buildup to help the clogged pores purge naturally. A thorough deep pore cleansing facial treatment by a skilled esthetician is also beneficial for removing the impurities within the pores. Papules are the next stage past a closed comedone, occur when bacteria has causes inflammation and infection resulting in a painful, red blemish. The main symptom of a papule is inflammation, so the goal is not to dry it out with acne products but rather to calm it down by using topical cortisone cream and ice compresses, followed by a soothing mask. Both will reduce the painful inflammation. Generally, papules don’t surface, so don’t even bother trying to squeeze at them. Pustules, on the other hand, are inflamed blemishes that contain pus. Pustules are your traditional zits that are most likely to cause post-breakout red or dark scars if you don’t properly know how to care for them. You must not touch these until you can see a whitehead! Then, you can carefully extract the infected pus and immediately apply a drying spot treatment. Have any questions about how to get clearer, blemish-free skin? Put them in the comments!